In the past few years we have written a number of articles providing information on Value Added Tax (VAT) but a popular question has remained unanswered: How do I calculate VAT? In this article we will answer this question on two levels, the first is a basic explanation of how exactly to add VAT to a price and also subtract VAT from a price. For anyone considering VAT for their business, we will also touch on a greater explanation of VAT calculation involving VAT inputs, VAT outputs and VAT control as well as briefly look at some VAT concepts that can affect how VAT is charged. What formula do I use to calculate VAT? We can now use this multiplier to calculate VAT that should be added to a price. Therefore the VAT you would charge on your R100 product would be R14, giving you a VAT-inclusive price of R114. To calculate an amount before VAT from a VAT-inclusive price, we need to use a divisor. This divisor is calculated using the current VAT rate of 14%. If our VAT-inclusive price is R114, we take this amount and divide it by 1.14 to get our price before VAT of R100. Deduct input tax from output tax liability and that will result in VAT payable or VAT refund. To explain this in more detail, your output tax can be thought of as VAT you have collected on behalf of SARS. This is VAT you have added to the product or service you sell and you are only holding this money temporarily until the due date for VAT payments. Input tax on the other hand is VAT that you have already paid and an amount that SARS owes you. For example any business expenses for which you hold a valid tax invoice. VAT control is a summary of VAT inputs and VAT outputs and indicates if your business is required to pay in VAT or is owed VAT from SARS. As the name suggests, these are services or goods that are taxed at a rate of 0%. Examples are maize, fruit, brown bread, etc. These are goods or services taxed at the rate of 14%. These are services that are exempt from VAT at either the standard rate or zero rate, for example childcare services. For more information about VAT in general, read our VAT article here that covers VAT vendors, VAT inputs and outputs, understanding VAT as a tax and more. 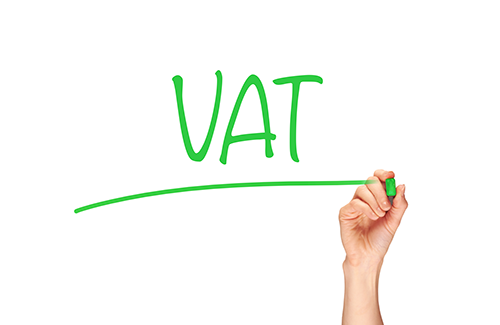 If you would like to find out about who needs to register for VAT, read our VAT SARS article. Should you need assistance with your business VAT, contact Dirmeik Consulting on 021 421 4444. We offer services that not only assist you with your VAT calculations but can also add value in all areas of your business. Speak to us today!